Welcome to Wire Technologies, Inc. Enabling people to access and manage information in today’s business environment. Wire Technologies unique combination of networking and data cabling offers a complete communication solution from the data center to the mobile user. Our strategic life cycle approach will guide the solution through the key areas of planning, designing, testing, implementing, training, and maintenance. We currently serve numerous enterprises to small offices, throughout northeastern Wisconsin. 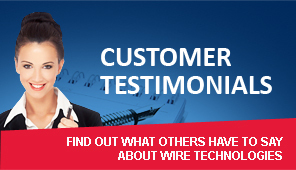 Wire Technologies will take the time to evaluate and discover your current issues to deliver a realistic business solution.